Gaming operators are using KYC Portal for two main aspects: real time evaluation of risk on players based on regulatory requirements as well as transaction monitoring. KYC Portal is being configured to assess risk based on various factors including spend, overall deposits and other risk aspects. One of the most crucial features is the ability for KYC Portal to identify duplicate player accounts across brands, drastically reducing the risk that operators face with multiple accounts. Gaming operators are also using KYC Portal to automate the on-boarding process of B2B relationships such as operators, affiliates and suppliers. The Customer Outreach Tool of KYC Portal is allowing operators to automate such on-boarding process in their entirety, giving access to the third party to setup and manage all that is required on their business and submit all the data securely. 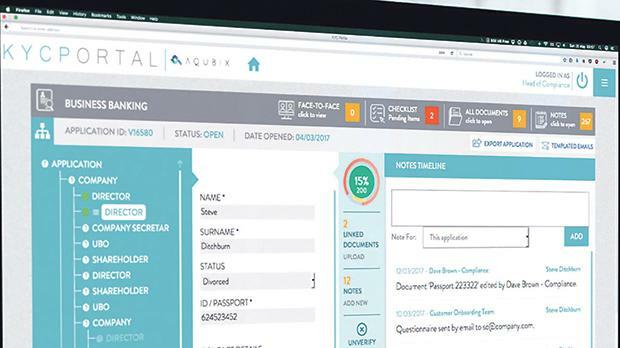 Such a tool also automates the review process on such entities with embedded face-to-face verification, document upload and digitised forms, constantly alerting your compliance team when there is something that needs to be seen to. KYC Portal is the most complete end-to-end KYC and due diligence solution on the market. It focuses on automating the operational aspect of compliance and due diligence, both from an on-boarding perspective as well as an on-going concern. What is usually done manually by teams of staff to constantly ensure that all is in place is done by KYC Portal in real time. Apart for reducing the workload on teams to keep up with regulatory requirements, it also reduces risk to an absolute minimum. KYC Portal is not another data service provider (for PEPs, sanctions and adverse media), however it allows you to hook up any provider of your choice to be able to automate the workflow even further. Such data services of validating documents, checking for PEPs, sanctions or similar services are only a small fraction of the entire KYC process however, when hooked up to your KYC Portal it allows you to automate processes from beginning to end. For more information visit www.kycportal.com.